A well known part of Colorado’s ski country, Breckenridge, or Breck as the locals call it, is a mountain town you’ve probably heard of. But there’s a lot more to do in Breckenridge than just skiing. It’s packed with an interesting history, and no matter what season it is, Breck will keep you entertained! 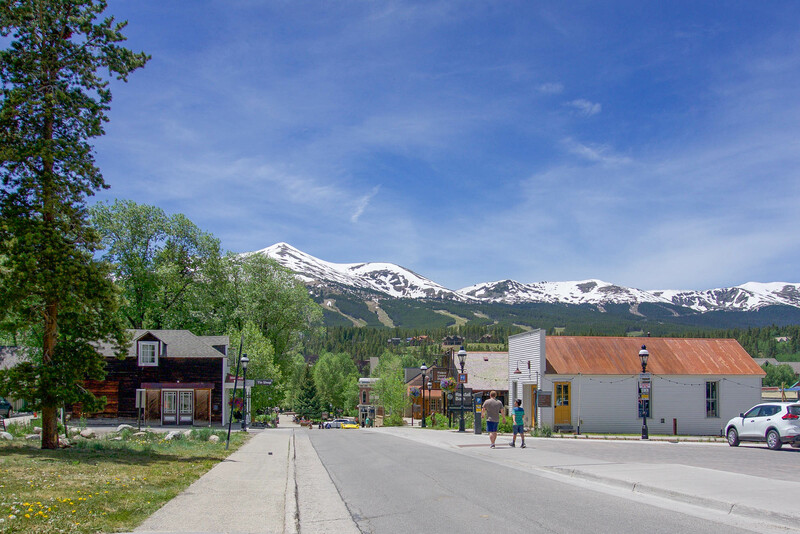 Established back in the 1850s, gold was found along the Blue River and Breckenridge began as a gold rush base camp. This was during the Pike’s Peak Gold Rush, and miners came looking for the “Blue River Diggins.” At this time, the town was actually named Breckinridge after Vice President John Breckinridge. The town was attempting to earn a post office because of this — and they did! But when John became a Confederate Brigadier General in the Civil War, the town changed the name to Breckenridge in 1861 to show their lack of support. For accommodations, you can find plenty of Breckenridge house rentals to choose from for your visit. These luxury retreats are the perfect place to cozy up on a cold winter day, or cool down from the summer heat. Bring the whole family along or a group of friends — there’s something for everyone in Breckenridge! Kick off your trip planning with the best of Breckenridge and get ready for the ideal mountain getaway. Let’s start with the obvious… Ski! Or snowboard, whichever you prefer! Mother nature dumps an average of 366 inches of snow every year on Breckenridge. Back in 1898, it snowed for 79 days straight in Breckenridge and there was so much snow that people had to build tunnels in the snow to get around town. No matter your experience, there’s a wide range of trails for skiers and riders of all levels. In 1960, the population of Breckenridge dropped to 393 people, causing concern that it would soon be a ghost town. But in December 1961, the town was revived with the opening of the Breckenridge Ski Area. This first season, nearly 17,000 skiers were recorded, and I-70 (the main highway between Denver and Breck) was not even finished yet! Fast forward to 1984, when Breckenridge became the first major ski resort in Colorado to allow snowboarding. Today, Breckenridge Ski Resort has 34 lifts spanning five peaks, and is home to the highest chairlift in North America (the Imperial Express chairlift at 12,840 feet). Not into skiing or snowboarding? Don’t fret! Breckenridge offers plenty of other winter activities. Explore the backcountry on a snowmobile, take the kids sledding, give fat biking a try, or go fly fishing (yes, even in the winter). There are loads of shops, restaurants, bars, and more along Breckenridge’s Main Street, which isn’t surprising considering Breck is home to the largest historic district in Colorado. It may only take up a short stretch, but it’s packed with plenty to do and see for everyone in your group. Experience what it was like to be a Colorado gold miner with a tour of Country Boy Mine, once one of the largest and most famous gold mines in Breckenridge. Founded in 1887, the mine initially produced gold and silver. High-grade lead and zinc was later found, and was used in World War I and II. On the tour, visitors are taken 1,000 feet into the mine to really get a feel for what life was like for the miners. Country Boy Mine also offers gold panning, exhibits with old mining equipment, sliding down the 55-foot shoot that was used for bringing ore out of the mine, and burro petting. This moderate hike is filled with flowing waterfalls, vibrant wildflowers, and beautiful views, and is a favorite of many locals and visitors alike. There are plenty of hikes around Breckenridge, so feel free to take your pick to fit your personal preference and skill level. The Breckenridge Heritage Alliance runs a variety of fun tours around town. Try the Swinging Doors Saloon Tour for a behind the scenes look at the Breckenridge Distillery tasting room, the Victorian Tea Tour to enjoy Victorian tea service at the Briggle home along with a tour of the property, or Gold Panning at Lomax Gulch where you’ll get lessons on gold panning at the site of an 1860s mining operation. If you’re into spooky tales, they have a Breckenridge Haunted Tour and a Paranormal Investigation. In the summers, check out one of their hiking tours, like the Hike Through Gold Mine History or the Preston Ghost Town Hike. In 1990, Breckenridge Brewery was founded right on Main Street. At this time they were only Colorado’s third craft brewery. They opened up a second location in Denver, but moved to Littleton after they outgrew that property. Both the Breckenridge and Littleton locations are still running strong today, serving up tasty vanilla porters, agave wheats, avalanche amber ales, and much more. Right on Main Street, the Gold Pan Saloon opened in 1859 primarily to serve the miners in town. Not only does that make it the oldest bar in Breckenridge, but it’s also the oldest continuously-operated bar west of the Mississippi. If walls could talk, I think the Gold Pan Saloon would have a lot to say! Regardless of what time of year you visit, the best of Breckenridge happens all year round. It’s only about two hours from Denver International Airport, so it’s easy to get there if you’re visiting from out of town. Enjoy the history, outdoors, and many activities of Breck that will keep you returning again and again!